On May 25, Pokémon: Magikarp Jump splashed onto the App and Google Play Store as Nintendo’s newest addition to their mobile gaming collection. Humorously so, and as many Pokémon fans will tell you, Magikarp Jump showcases what is quite possibly the weakest Pokémon ever; it even had an official song embedded in the game to prove it. Magikarp Jump is a game with simple controls that lets anyone easily raise multiple generations of Magikarp just by tapping the touchscreen. The object of the game is to fish up a Magikarp, feed it, and train it—increasing it’s Jump Power until it can’t level up anymore. Afterward, you test your Magikarp’s vertical against those of your opponents in a league based system much like the format of other classic Pokémon titles. Once your fish maxes out its power-flopping potential it retires back to your pond where it lives out the rest of its life in bliss, knowing that its jumping days are over. You then go fishing, land a new Magikarp, and start all over again. 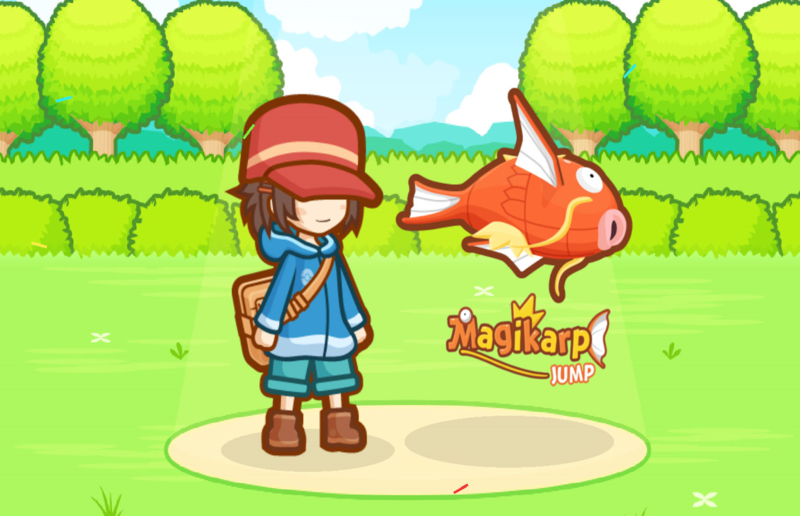 Since the game’s release Magikarp Jump has received outstanding reviews, with an average user rating of four point six out of five stars across supported platforms. The game has since been updated with new Magikarp skin patterns, events, items, and an additional league. Pokémon: Magikarp Jump is available for free download on the App Store here, and the Google Play Store here, and offers in-app purchases that speed up the training process for those who just can’t wait to jump.